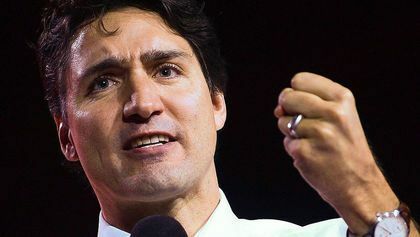 In a move sure to be praised by lawmakers in the United States, Canadian Prime Minister Justin Trudeau is moving ever-closer to completely disarming the people of Canada. The order comes on the heels of a Toronto-based shooting in July where two people died, and another dozen were injured. Immediately, lawmakers in Montreal and Toronto called for a ban on virtually all firearms, excluding police officers and members of the military. So, in effect, gun owners in Canada could have single shot rifles and shotguns and nothing more, or risk going to jail. Canadian gun laws are already ridiculously burdensome with citizens required to obtain a ‘possession and acquisition license’ which includes a detailed background check and a price tag of $200! On top of that, Canadians don’t enjoy Stand-Your-Ground law protections, no ability to carry concealed, and no constitutional guarantees to keep and bear arms. Despite that, Trudeau wants to take away what few gun rights Canadian citizens have left. This should serve as a continuing wake up call to gun owners in America, as there is no end-game for the gun control crowd other than total disarmament. They aren’t content to ban certain firearms or take away self-defense protections like Stand-Your-Ground law, or raising the age on when an adult can buy a firearm. Anti-gun activists won’t stop until Americans are disarmed and forced to live under a big government dictatorship like so many 3rd world ghettos around the globe. America is a unique experiment in that we have a Constitution with specific rights that protect the citizenry from an abusing government — but those rights will crumble the instant that we lose our right to keep and bear arms. Don’t take my word for it, just take a look at almost any other nation on earth. ← Despite Out of Control Violence in Kansas City, Mayor Sly James Wants You Disarmed!